1. 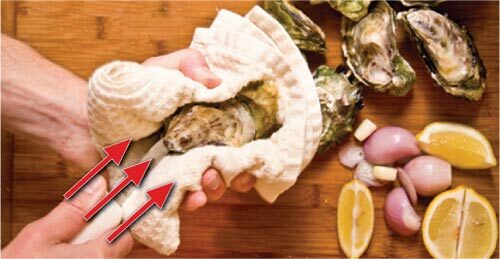 With a towel in hand (to protect your hand from the oyster knife), hold the oyster cupped-side down, with the hinge toward you. 2. Wedge an oyster knife into the hinge. 3. 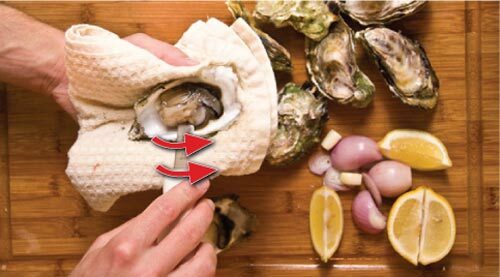 Use short twisting and prying movements to loosen the top shell from the bottom shell. 4. 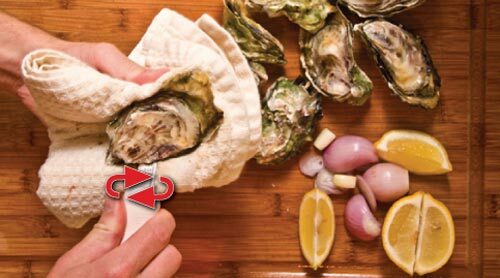 Rotate the oyster knife so that it is perpendicular to you and slide it under the top shell. Remove top shell. 5. 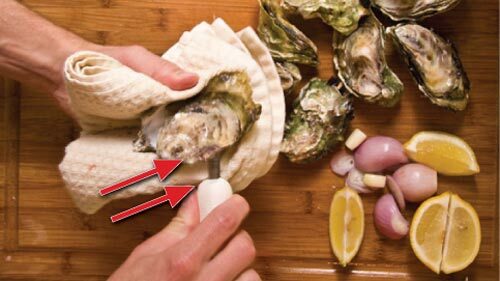 Now, run the knife under the oyster to separate it from the bottom shell. 6. It is now ready to enjoy. 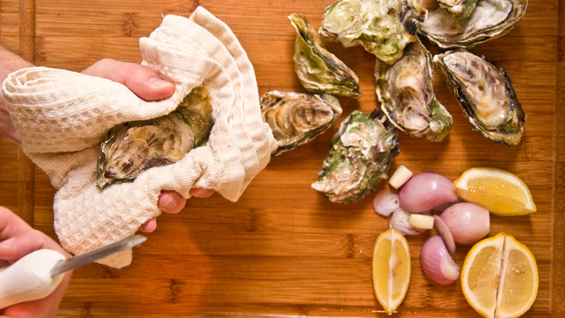 Dress with a mignonette or slurp away. 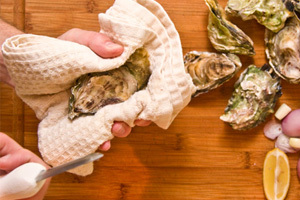 Now that you’ve got your oysters open, check out our collection of oyster recipes. I find it easier to keep the oyster on the table, giving me extra leverage to wedge open the shell at the joint.